On average, a dental office may need to refer to other specialists for consultations. However, Drs. Goldstein, Garber and Salama have taken a radically different approach. Having multi- and dual-degree specialists all under one roof, the team can offer patients the most efficient solutions to virtually every aspect of their oral health using multiple treatment options, including an in-house dental laboratory where porcelain veneers, all-ceramic crowns and other dental restorations can be created, customized and adjusted, all in one day. Our highly trained specialists provide a wealth of knowledge, experience and skill—all under one roof. I’ve been a patient of Dr. Ronald Goldstein and Team Atlanta for many years and especially appreciate the professionalism of their office staff and the quality care I receive. Drs. 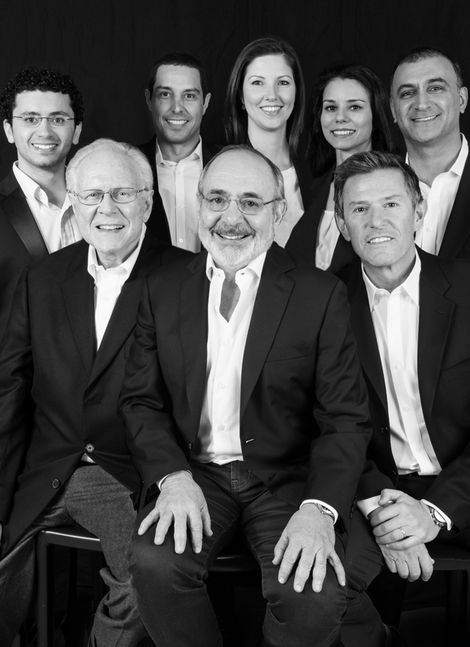 Goldstein, Garber and Salama, known worldwide as ‘Team Atlanta’ have set the standard for comprehensive, esthetic and multidisciplinary care worldwide. Their group is made up of top international lecturers and teachers. Their contribution to dental education and integrity-based dental practice is without peer. As a telephone journalist and public speaker I know how important it is to be confident in yourself and your information. Dr. Goldstein helped make sure my smile reflected confidence too. I can’t think of another group that has done more to change people’s self-image as far as cosmetic dentistry is concerned than Goldstein, Garber and Salama. I havebeen a patient of Ronald Goldstein, David Garber and Maurice Salama for over 15 years, and during this time I have seen them remain on the cutting edge of technology. I have never met a more caring and conscientious group of professionals. I’ve been a patient of their’s for 50 years. Many practices have skillful people; this practice has the most talented doctors in the world! The Goldstein Garber Group is one of the most competent and service-oriented organizations I have ever dealt with. Their work is the best and they treat you like both an honored guest and a member of the family. They truly excel. Goldstein, Garber and Salama are the Smile Masters! They are a credit to the world of dentistry and are pure geniuses at their work! Their dental practice is just one more reason to love living in Atlanta! 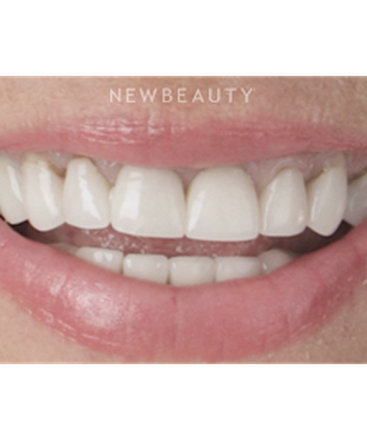 With 80 years of creating beautiful and healthy smiles, they are clearly the leaders around the world in cosmetic dentistry. I feel fortunate to be their patient and grateful for their uncompromising talent and dedication. To know that you are in the best hands on earth, that’s not only comforting but reassuring! Nowhere in the whole universe is there a dental clinic that renders the quality and perfection of service that is afforded to patients of Dr. Ronald Goldstein and his associates. I would hesitate to have any other dentist render services to me as long as I have the privilege of seeking oral healthcare in his clinic. For over 20 years I’ve been able to count on this top-notch team. Their professionalism and state-of-the-art technology is unquestionably the best. 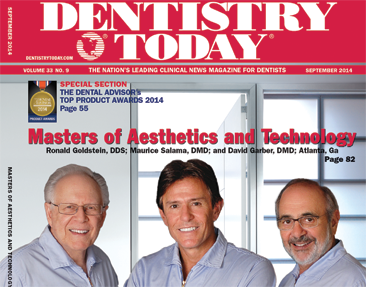 Recognizing their educational and innovative clinical approaches to dentistry, Goldstein, Garber & Salama, LLC was featured as the cover story in the September 2014 issue of Dentistry Today—one of the most highly circulated dental periodicals for dental professionals in North America. 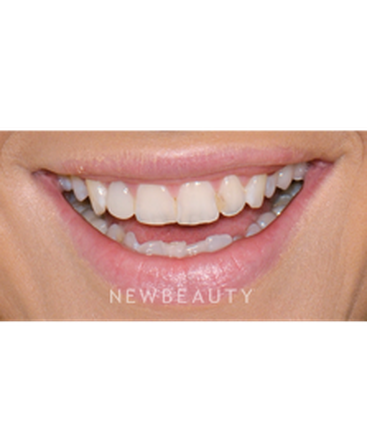 To restore this patient’s aging smile, we used crown lengthening and all-ceramic crowns on the upper teeth, and Zoom!® Whitening and cosmetic contouring on the lower teeth. 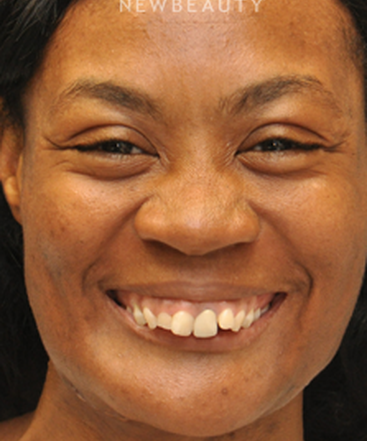 This patient was unhappy with her dis­colored, eroded teeth and high lip line. 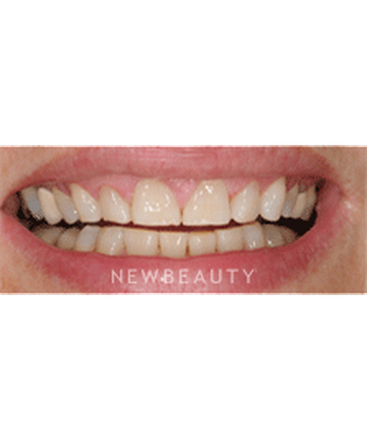 She had cosmetic gum surgery with full crowns, which gave her the more attractive smile she was looking for. 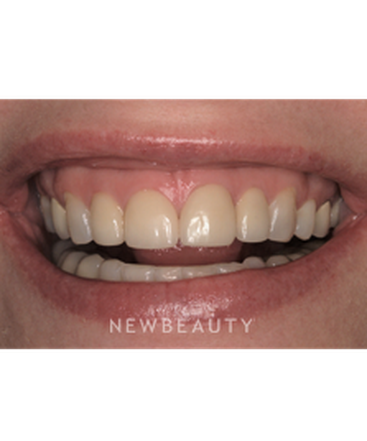 We performed a smile makeover on this patient using tissue grafts, Invisalign®, in-office Opalescence® tooth whitening, veneers and crowns to lengthen and restore her teeth. Goldstein, Garber and Salama, LLC now offers three new health based procedures, including a nonsurgical dental laser. This laser was specifically designed to treat gum disease without cutting or stitching the gums, making the procedure nearly painless and significantly diminishing recovery time. 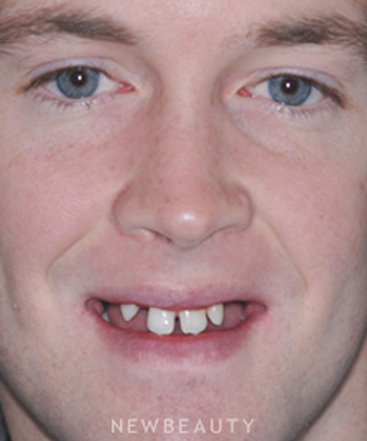 Dr. Ronald Goldstein and Dr. Maurice Salama performed a complete smile makeover on this 19-year-old patient using a combination of orthodontics, implant replacement, crowns and veneers. Q. 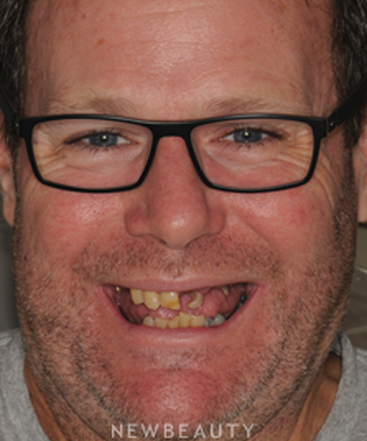 How much can tooth contouring change my smile? Dr. Ronald E. Goldstein says: Tooth contouring or ‘cosmetic contouring’ as it is know in the profession, can be a great compromise for mildly crowded, chipped or over-erupted teeth in creating an illusion of straightness. 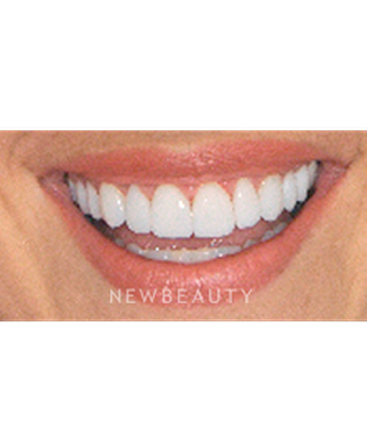 It’s best to choose a dentist who is a good artist and has experience in cosmetic dentistry so he or she can show you what your teeth can look like cosmetically contoured and then deliver the results. Q. Can a gum lift erase my gummy smile and how much will it hurt? Dr. Maurice Salama says: Yes, gum surgery can be performed easily today utilizing lasers and ultrasonic instrumentation. This can often be performed using a minimally invasive procedure (MIP), which is not painful and heals much faster. Q. With a porcelain crown, does the color stay forever? Dr. David Garber says: The essential color of the porcelain crown should stay forever. However, some of the added superficial stain may slowly abrade away. Q. What’s the best type of crown? Dr. David Garber says: The best type of crown really depends upon your specific needs. Gold crowns in the back of the mouth where no one sees them require less tooth removal or preparation, keeping your tooth considerably stronger. 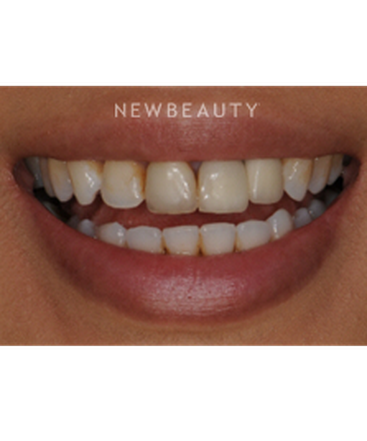 Today the new all zirconium crowns can do very much the same and in a tooth colored material. 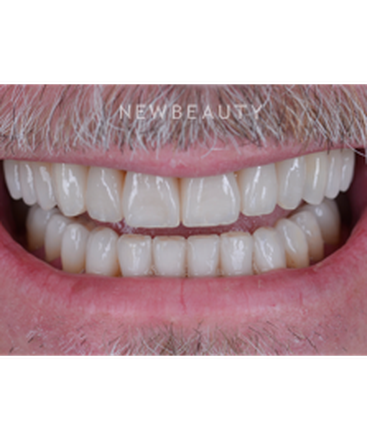 However, if you need optimum esthetics particularly in the front of the mouth, the all-ceramic crown, such as the lithium disilicate reinforced ones, provide for a more attractive match or blended outcome. Last, porcelain fused to metal crowns are time tested so work well, but are generally not as natural looking as all-ceramic crowns. Q. 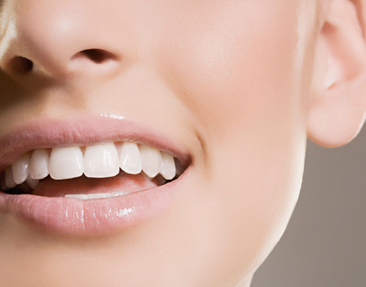 What is the difference between a home teeth whitening kit and one provided by a dentist? 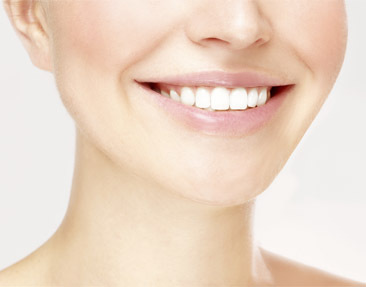 Dr. David Garber says: The predominant difference between the home teeth whitening kit and the one provided by the dentist is the strength of the active ingredient in the bleaching product and, most importantly, the personal monitoring of the patient for any problems that might arise in the tissue or the underlying teeth. Q. 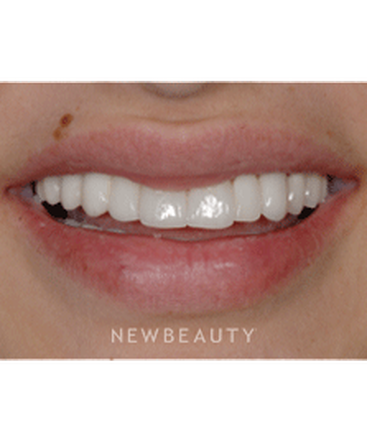 Why can’t everyone get lumineers or no-prep veneers? 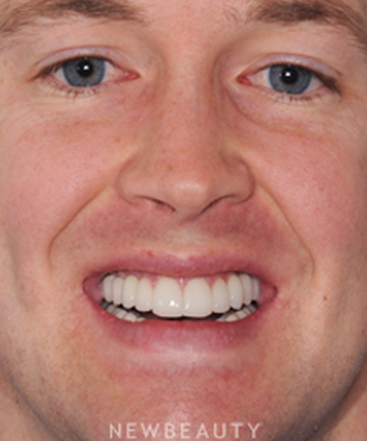 Dr. David Garber says: Everyone with intact non-compromised teeth can essentially get lumineers or no-prep veneers, but they are, in many situations, more problematic. It is more important to develop a small well-defined margin for the veneer on the tooth, so that when in the mouth there is a smooth transition from the remaining natural tooth to the veneer. 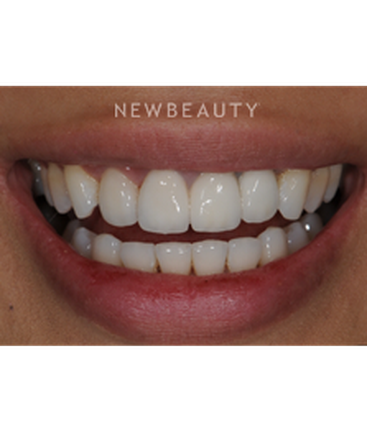 “No-prep veneers” can be more complex than a minimally invasive roughening of the tooth surface confined to only the enamel. Q. 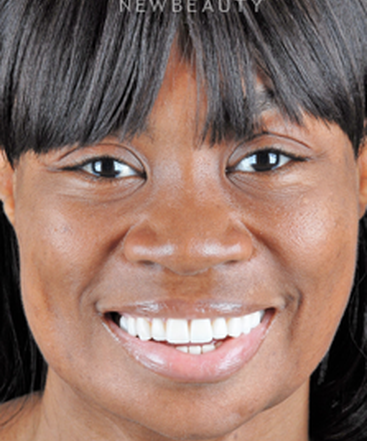 How can a smile makeover help me look younger? Dr. Ronald E. Goldstein says: If your teeth are worn, discolored, or otherwise aging you, a smile makeover can help give your face the appearance of a facelift without the surgery. By creating a younger-looking smile line you can easily look 10 to 15 years younger. 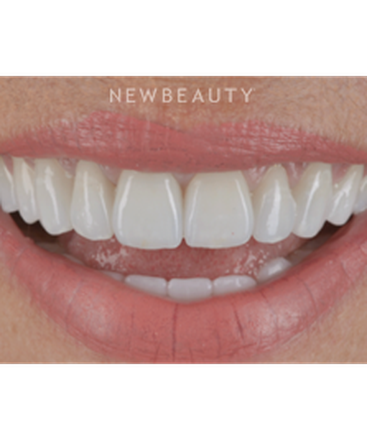 A lighter color makes a big difference as well as varying the lengths of the teeth to get rid of a worn straight across look that many older people have. And healthy-looking gum tissue also plays a major role in creating a younger look. 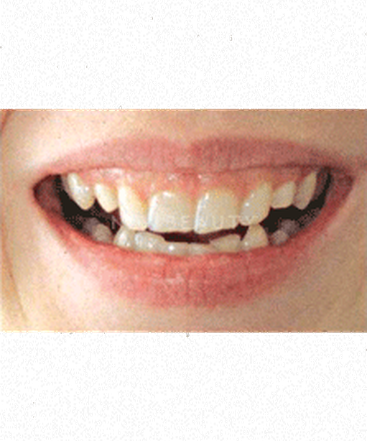 Try to get rid of any open spaces or black triangles between your teeth if your gum has receded. Q. Can you get a cavity in a crown? Dr. Ronald E. Goldstein says: You can get a cavity underneath a crown if the decay is left in the underlying tooth structure when the crown was placed. However, most areas of decay in crowned teeth occur at the gum line due either to a washout of the cement used to fasten the crown to the tooth, or to decay in the root of the tooth below where the crown is attached. Q. 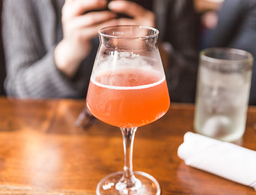 Can a bad bite cause chronic headaches and migraines? 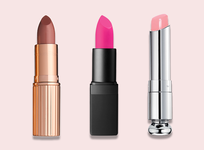 Can a smile makeover fix it? 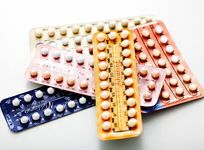 Dr. Maurice Salama says: A bad bite has been reported to cause chronic headaches and may even precipitate the migraine process. The problem is how the dentist defines what characterizes a bad bite. [It can be treated.] Most importantly, if a single tooth hits prematurely when you close, this should be adjusted or if your back teeth do not separate when you move your lower jaw forward or side to side, as in chewing or biting a sandwich, this may be a potential cause or factor. 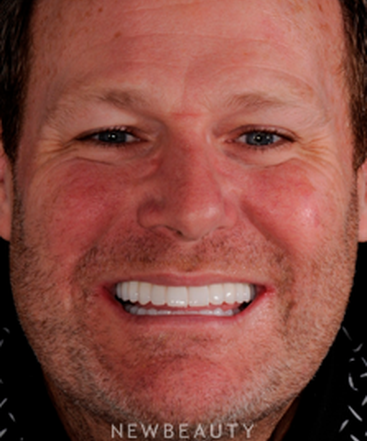 Q. I've read about one-day smile makeovers. Is there really a such thing and what does it entail? 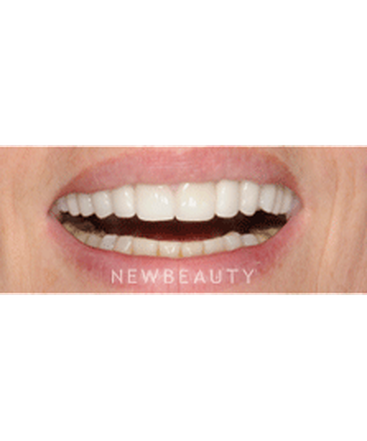 Cosmetic contouring, or reshaping crowded teeth to create an illusion of straightness. Composite resin bonding to change the shapes of teeth, cover discolored teeth, close spaces, or repair chipped or fractured teeth. Porcelain veneers to accomplish the above but would usually take 2 appointments since they would be made indirectly by a laboratory. However, there are porcelain veneers that can be made from CAD/CAM porcelain blocks that possibily could be made in a day depending on how many are required. 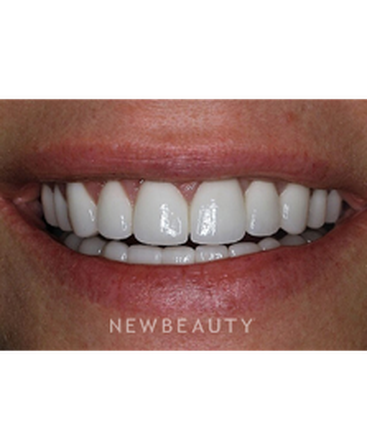 The main thing is to have a good consultation with a talented cosmetic dentist who will create a smile design and let you know the choices because there will almost always be different methods and you need to have all the information so you can make the right decision. Q. I have staining on one of my front teeth. Is there anything I can do to try to correct this problem at home? I would really love to not have to have my teeth whitened in a dentists office due to fear of sensitivity. Depending on the type and severity of the stain you may be able to make a nice difference by bleaching at home. It may well take more time but it can result in lighter teeth. However, if your teeth have concentrated stains on part of the teeth it would be better to consult a cosmetic dentist to see if a technique called ‘micro-abrasion’ could be used. 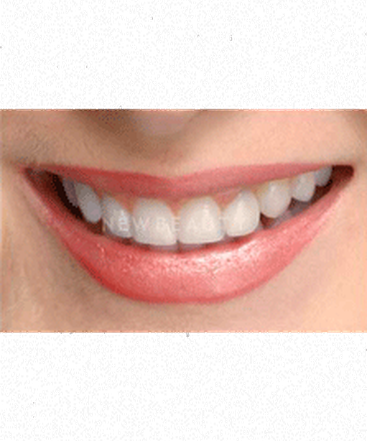 This technique consists of the dentist painlessly polishing your teeth with a concentrated acid and can also be combined with bleaching depending on the stain. Reshaping of the enamel may also be required and at times bonding the enamel after the dentist physically removes the stain with diamond burs. You need to have a consultation with another dentist who may be more skilled at temporomandibular joint disfunction. It could be the type of bite guard you are wearing because there are a number of different approaches to the problem and different designs for the appliance. You may also be clenching or grinding during the day (subconsciously) and totally unaware you are doing it. The rule I give my patients is “Lips together, teeth apart” and I have them make signs in their car, on their desk and at home wherever they are so it is a constant reminder not to have their teeth touch unless they are eating. If you find your teeth are together at anytime day or night, you are clenching and may be causing the muscles to go into spasm. At times I even have to make “day appliances” for patients who cannot stop on their own. The best treatment for a very deep overbite or over jet where the teeth stick out too far is orthodontic treatment. 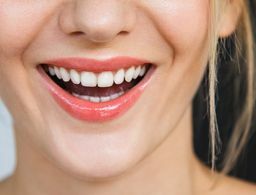 This could consist of an invisible technique called Invisalign where you would wear a series of clear plastic matrices over a period of 8, 16, or 20 months to correct the condition. Most people will not know you are wearing them. 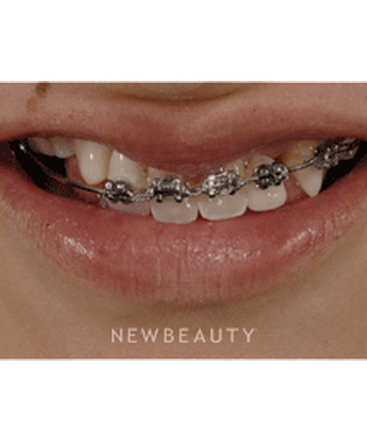 In severe cases porcelain brackets can be applied to your teeth to reposition them. The main requirement is to have a thorough diagnosis of the cause and treatment plan for the choices of correction. Finally, there are instances whereby restorative means can be utilized such as porcelain onlays or crowns can be constructed to ‘open’ your bite and reduce the amount of the overbite. 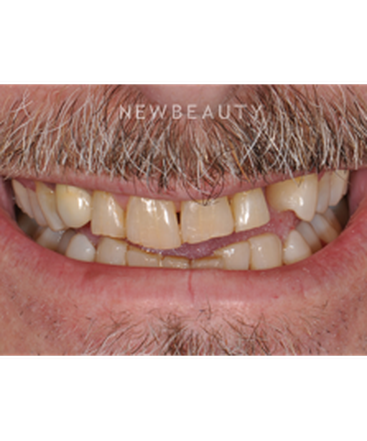 In addition the teeth can be reshaped and a more normal arrangement can improve the smile and the bite. Again, get a consultation with a very experienced dentist and orthodontist to help you determine the best approach for you. Q. 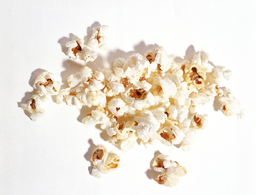 Are there foods to avoid when whitening the teeth? Good answer from Dr. Sadati, and I would just liike to add that I advise my patients to avoid eating blueberries, and suspend drinking coffee, tea, cola drinks and those that have strong pigments. Q. 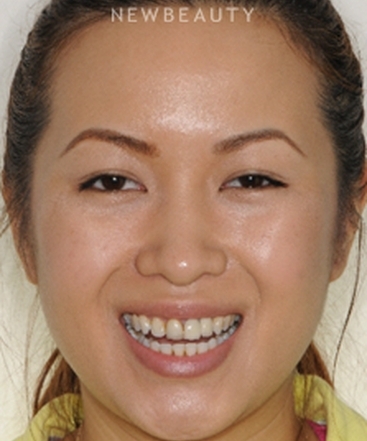 What is the best way to get rid of discoloration of the teeth? 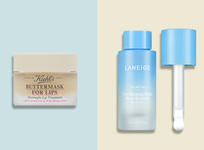 There are also techniques that can remove individual stains such as microabrasion and cosmetic contouring. these can be dark yellow or even white spots on teeth.